Every summer needs an anthem, and it looks like we might have found 2018’s official song of the summer. Just in case you haven’t heard of her yet, please do get to know Ella Mai as soon as possible, because she’s probably going to be your new fave. Mai is the singer behind “Boo’d Up,” the super catchy song that has slowly been climbing the Billboard charts since it was released on her February 2017 Ready EP (even though it only came out as a single in April). Just last week, the single was certified platinum by the Recording Industry Association of America (RIAA), which means it’s sold over 1 million units in the U.S., and it finally broke into the Billboard Hot 100, coming in at No. 6. She performed “Boo’d Up” at the BET Awards just this past weekend, too, and is kicking off an already sold-out tour in August. Like we said, Ella Mai’s about to be everyone’s fave. The 23-year-old London-born, Jamaica, Queens-raised singer is definitely on the come-up. But Mai’s been working hard for a long time to reach the limelight. She was on Season 11 of The X Factor in 2014 as part of a trio, Arize, but didn’t make it past auditions. Mai and her group broke up just after the show, but she released a solo, four-track EP to SoundCloud the next year called Trouble. Between that and becoming Instagram famous, she was quickly signed to DJ Mustard’s 10 Summer Records label, which is an imprint of Interscope. She’s been performing since she was a kid, so she’s definitely been waiting a while for this success. In fact, her first performance was as Anita in West Side Story when she was a young student. Among her influences Mai lists Lauryn Hill, Chris Brown, Brandy, Destiny’s Child, Alicia Keys, and Mariah Carey, which makes sense considering her musical aesthetic. She might be young, but American R&B and hip hop from the ’90s are still her favorite genres. She told Vibe that when she moved back to London after moving to New York City when she was 12 years old, she was already hooked on American music. “[Mariah Carey’s] ‘Shake It Off’ was out already, and I loved that song,” she said. “I was like, I have to get that album. I still have all the actual physical copy CDs. I’ve never thrown them away. It’s in really bad condition, but I still have it.” Her first CD ever was Mariah Carey’s Emancipation of Mimi, which sort of tells you everything you need to know about this up-and-coming star. 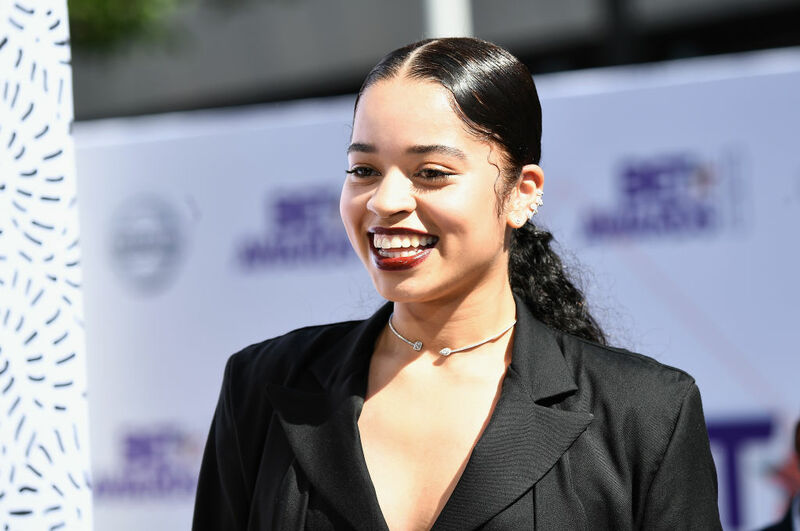 The world needs more Ella Mai, so hopefully she’ll be recording a full-length album for us sometime soon. In the meantime, just try to get “Boo’d Up” out of your head.